Jirels are the aboriginal inhabitants of Jiri and Jugu area of the Dolkha district. Many Jirels also live in the Sindhupalchok district. This is a minority nationality having unique manners and civilization. They call themselves Jiripa (Gautam and Thapa Magar, 1994:300). 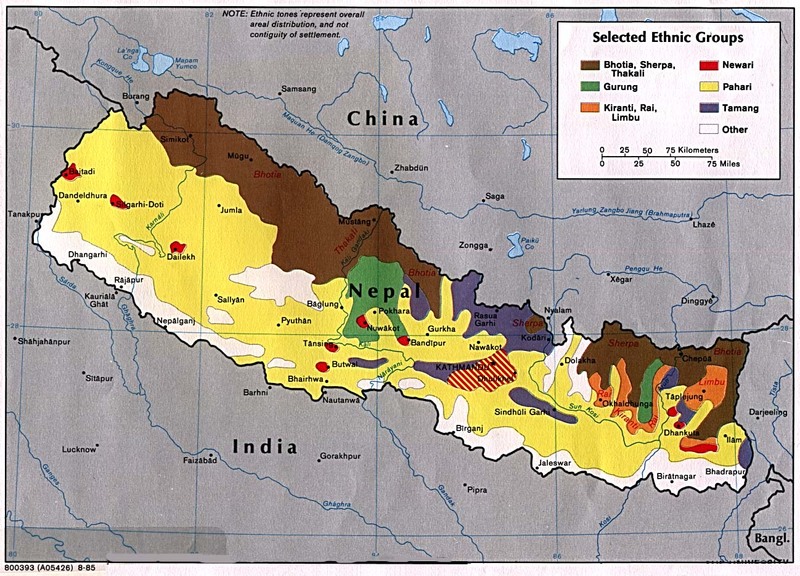 Settled in a scattered manner at the head of the Likhu, Khimti and Jirishiki rivers and in the valleys, Jirels are found in small numbers in 63 districts of Nepal (Samsuhang, 2054-2055). They are settled densely in 12 or 13 villages, including Jhyaku, Paldung, Jiri, Sikri, Jugu of Tamakoshi and Khimtikhola region in particular (Sharma, 2032). They have appeared in places like Jugupyaro, Thadpa, Darkha, Cheptu Gau and Sindhupalchowk. 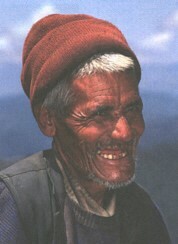 The Jirels of eastern Nepal are both ethnically and linguistically related to both the Sherpas and Sunuwars. Their population of 5,300 is centered on the Jiri Valley. Their main form of subsistence is agro-pastoral production, combing the cultivation of wheat, barley, and maize, with the herding of goats and cattle. Little is known about them, but their cultural affinities with Sunwars and Sherpas suggest that their culture is a form of the Bhoti culture. The language of Jirels is of Tibeto-Burman family. It is difficult to distinguish between Sunuwars and Jirels on the basis of any factor other than language. The language of Jirels to a great extent resembles Sunuwar and Sherpa languages. The newborn is christened on the third or seventh day of its birth by Lama or Jhakris (a kind of shamans). The cereal-feeding ceremony is held for son and daughter in the seventh or third month respectively. Their marriage is officiated by Jhakri and Lama. Since Saturday and Monday are considered inauspicious for marriage ceremonies, other days are preferred. The boys and girls get married in accordance with their choice and liking. When the marriage procession reaches the house of the girl's parents the girl's side and the boy's side exchange a holy water pot. The marriage becomes complete when the boy and the girl drink local beer from the same vessel, called tongba. Marrying the widow of elder brother and daughter of wife's brother are allowed. Marriage within same clan is not permitted. The corpse of dead is washed cleanly and dressed in new clothes before burial. Some are cremated in the night of death. It is a practice to dance the whole night by playing damaru (a small drum) and the dhyangro (Dhami's drum). The death pollution is observed for five to 35 days. The full moon day of Mangsir (November-December) and Ram Nawami of Chaitra are observed as festivals (Sharma, BS2032). At death ceremonies, a Buddhist tradition prevails. However, for many domestic ceremonies they call a Brahmin priest and adhere to the bramanical tradition. This strange mixture can be explained by their mixed ethnic origins; and the fact the sometimes amongst certain of the middle-hill peoples there is no hard, dividing line. Jirels have 10 clans, including Deppacha, Devlinga, Chungpat, etc. If a Jirel marries a woman from another tribe, he should ask for forgiveness from members of his own tribe and should feed them by organizing a feast (Sharma, BS2045). Other social practices of Jirels are like those of Sunuwars. The level of education among Jirels is very low. They live in Jiri and the village nearby. They believe that their origin arose because of trade between this region and the adjoining regions in Tibet. The Jirels practice Tibetan Buddhism and have their own lamas. There is a Sherpa Buddhist monastery and a Jirel monastery in the valley. Like other ethnic groups, the Jirel's religious beliefs include elements derived from Hinduism, as well as shamanistic practices. Jirel shaman are known as phombos, whose practices are similar to the shamanistic activities elsewhere in eastern Nepal. They worship the Bhote God in Chaitra and Mangsir so that the god of rivers does not cause any illnesses. View Jirel in all countries. Location in Country: They inhabit the Jiri and Sikri valleys in the Dolakha District of Janakpur Zone. The largest of their 22 villages are Jiri and Jugu.